Location: Greencastle, County Donegal, Ireland. Notes: Northburgh Castle, also known as Green Castle, is a ruined 14th-century castle near Greencastle, County Donegal, Ireland. It was built in 1305 by Richard Óg de Burgh, 2nd Earl of Ulster. Northburgh Castle was sited to control Lough Foyle, and was captured by Edward Bruce in 1316. Walter Liath de Burgh was imprisoned in 1328 at the castle by his cousin William Donn de Burgh, 3rd Earl of Ulster, and died of starvation in February 1332. William's sister was found dead beneath the battlements. After William's death, the castle became a stronghold of the O'Doherty family. 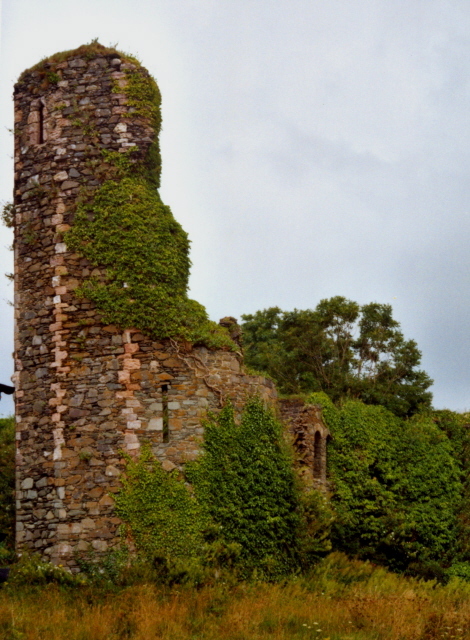 Northburgh Castle suffered considerable damage by cannon fire and eventually was left in ruins after the 17th century.